Stress less and stay on budget with Transporteam's detailed pricing. we generate a custom price for each transport. Moves out of town or moves out of state! Our Service Center is your ‘first-response’ to problem resolution, 24/7/365. Our customer service agents coordinate and help you solve any problem you may have. My wife always says that when it comes to service providers, I'm a very hard-to-please man. I guess that is why she was so surprised to hear I'm more than pleased with the services of Transporteam. What can I say, when it's good it's good, and the transportation services of Transporteam are professional and available to you when need them. My wife and I bought a new car to our son, and we needed it transported to N.Y.C fast, so our son can get it exactly on his birthday – thanks to Transporteam – mission accomplished! And our son was very thrilled about it. So thank you guys for top service! As the director of a women's voluntary association I was required to find a solution to transporting vehicles that were donated to us for our community activities. We had to find a professional transportation company, one that offers affordable services. That is why I was happy I chose Transporteam to provide us with the service. The guys working there are so nice and as I was happy to learn, very professional. They made sure we got the cars to the right location as soon as possible, and the price was very fair and affordable. Thank you Transporteam for a great service provided with a big smile! I've always consider myself as a perfectionist man. I love it when things go in their exact right order, preferably my order, no shame about it. I always expect the best from myself and that is why I always expect others to bring their A game as well. That is exactly the reason why I was pleased with the car transportation service provided to me by Transporteam. It is not always easy for me to trust professional service providers, but I tell you that – with Transporteam it felt natural as they stand by each and every word they commit to. I will sure be happy to get the help of Transporteam's professionals again. When you own an antique car, which is so important to you, it is extremely hard to put it in the hands of others, regardless of how professional they might be. It is your precious and you take care of it down to every spot on it. That is just like me and my car. I'm consistently worried about it and if I find a new scratch on it – I can lose it, as I become deeply upset. So when I had to transport it when we moved to a new home out of state, I was afraid I won't be able to find a trustworthy transportation company, but to my surprise, I did find Transporteam, which made me feel very comfortable about leaving my car in their hands right from the get go. As a college student, I don't have too much money to spare. Most of what I had I spent on buying my car, and so when I needed to transport it from my hometown in Jersey all the way down to the dormitories at UCLA, the most important thing for me was the cost of the transportation. That being the case, I was afraid I will have to settle for a lesser service. But when I called Transporteam I realized I don't have to settle for less about anything you might expect in a professional transportation service. They offered an affordable price and promised to provide a great service as well, and guess what – they sure did! Thanks guys. Moving from NY to CA was not an easy thing to do. Of course the job opportunity was awesome, but to go through with the moving process itself was something that got me occupied for more than a few days, as I tried to take care of all the aspects of the relocation. The one thing I'm grateful for is finding Transporteam and choosing to hire them for the job - transporting my vehicle. Since we've set the date for the car's pickup and the details of our deal, they took care of everything needed perfectly. I couldn't be more pleased with the service I got, so do yourself a favor – when you need transportation services – call Transporteam. Don't settle for less. People like to say women don't understand anything about cars, but trust me, when it comes to my beautiful car, I do understand a thing or two. I know when it needs an oil refill, when the tires' air pressure is low, but most important, I know to take care of it. And so when I moved down to L.A I called the only company I knew I can trust (since it is not the first time I use their great services) – Transporteam. They always make you feel so good about working with them, always polite, always patient, always willing to answer any question I have. And that is why I will continue choosing them over and over again. Thanks for a job well done! As a car collector I had to find a transportation company which I can trust. I must get fast service as well as a professional one, for it is my job to ensure the condition of my cars. In the past it was pretty hard to find a reliable transportation service but today, I got Transporteam on my side to provide me with great service every time I make the call. I'm thankful for their commitment to provide perfect solutions each and every time, and that is why I always recommend to hire these guys for any transportation job. When you call for the services of Transporteam, you can never be wrong. Transporteam in Sacramento is a top, certified auto delivery service provider. 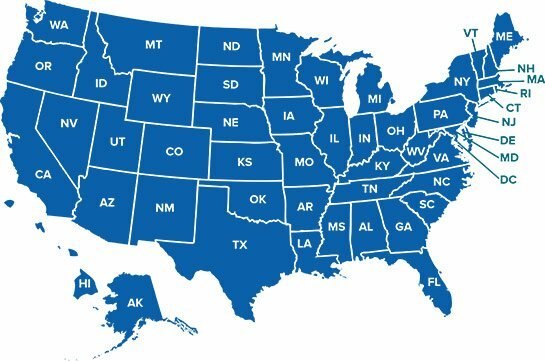 Our company serves customers nationwide, with branches in numerous cities spread out over the USA. Transporteam’s Sacramento branch houses the head office of our company; this is where it all began. If you need to tow any type of vehicle a long distance from Sacramento we are always happy to help. Our mission is to make your tow go smoothly. With Transporteam your experience will be stress free, from our first conversation until you receive notification of delivery. If you’re a Sacramento local looking to have a vehicle safely delivered to a remote location, you’ve probably asked around and heard about Transporteam. We know that we’ve got quite a reputation to live up to and we do our utmost to surpass it each and every time we take on a new delivery! We pride ourselves on giving all of our customers a calm and stressful customer experience for a service that is known to be stressful for car owners. We make every aspect of our service appealing! Transporteam in Sacramento provides fast and reliable service. Our processes are all set, so the moment we hear from you, either by phone or through our website, we will get things moving. We’ll immediately send you a quote for the delivery of your vehicle to your chosen destination and once you’ve reviewed our competitive quote and accepted it we’ll move on from there. Continuing with our process, we’ll communicate with you regarding dates, times and locations for pick-up and drop-off of the vehicle. At this point you will let us know when and where are most convenient for you. Once all the details have been agreed upon we’ll sign a contract and the rest is up to us. Our team of reliable tow drivers will make sure that your vehicle gets to where it needs to be, when it needs to be there. All our towing specialists are professionally licensed and have plenty of experience with towing different types of vehicles long distance. Once we know what make of car we’ll be towing we make sure to pair it with the most suitable tow truck in our fleet. Our team will make sure that your vehicle is in safe hands, from door to door. We will make sure that the delivery is done securely and that we keep to your timetable. At Transporteam we take great pride in our work as we take it very seriously. That is why we hire only licensed and insured professional drivers that make sure your vehicle is completely safe as soon as it is loaded on one of our trailers. See, our drivers are not only reliable but they are also very service oriented. When you get a quote from Transporteam you know the price is set and you pay only for what you get. As we’ve mentioned above, we commit to 100% customer satisfaction, and so, we do our very best to provide you with all the support you need in the process of auto transportation. Our price includes full customer support from pick-up to delivery (as we perform full door to door delivery) and of course, full loading and unloading inspection. Our drivers will get the job perfectly done while ensuring your vehicle’s safety and while using up-to-date new tech equipment. Needless to say, we deliver on time as promised – on every delivery! Transporteam offers its customers very high quality services for affordable prices. Our commitment for our customers’ satisfaction is not only words – we always see things through! Transporteam is a reliable company – call us today at (888) 444-6295 ! Welcome to Transporteam. A leading company for auto transportation and shipping services. Our company offers various professional transportation services of uncompromising quality, performed by experienced and courteous drivers. Each and every one of our clients knows that we will get their vehicle to their location at the appointed time and in the exact same condition we’ve received it. We offer full door to door delivery or other options you may be in need of, such as terminal to door, terminal to terminal, and more – but the most important thing is that we do everything in our power to ensure 100% customer satisfaction!